Venezuelan President Nicolas Maduro said Thursday he planned to tell the opposition to throw its weight behind his bid to repeal US sanctions against Caracas. MEXICO CITY (Sputnik) — Preparations for resuming dialogue between the Venezuelan government and the opposition kicked off earlier in the day in the Dominican Republic. The talks are set to begin next month. 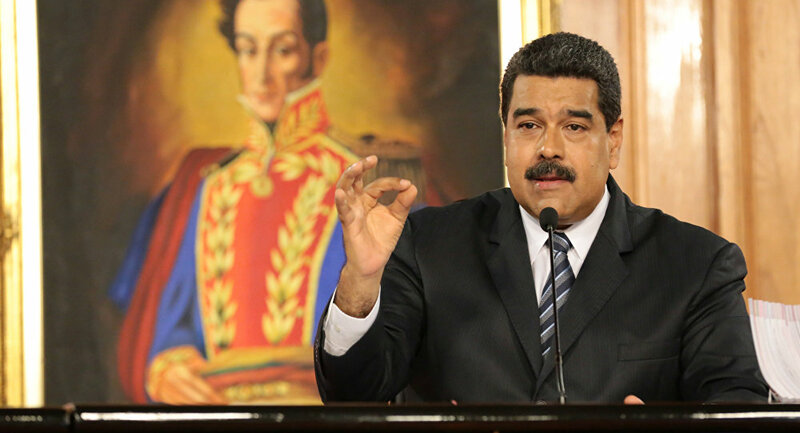 "I have ordered to demand from the Venezuelan opposition… that they promise they will broker with the US government an end to this economic and financial persecution of Venezuela," Maduro said in a statement carried by the Telesur channel. Venezuela has blamed US meddling for its dire economic situation. In August, the administration of US President Donald Trump introduced new sweeping financial curbs on the country, banning US private firms from acquiring any bonds issued by the Venezuelan government or its state oil company.